We believe in treating our customers fairly. Our professional staff are highly qualified and offer best advice to you. You might prefer a quick phone call, doing business online or even a direct consultation at your home or office. CompSure will not part ways with you once your policy is activated. We view our relationship with you as a partnership. Our service consultants are available to assist you with any insurance related queries. 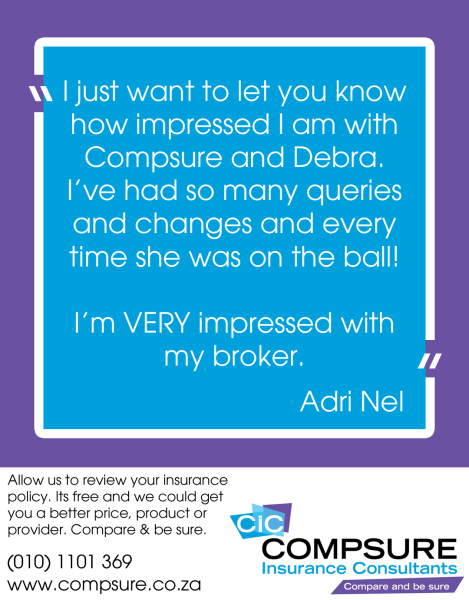 The benefits of making use of CompSure for your insurance needs rather than going direct are significant. We source multiple quotes on your behalf, offer free advice on the price, product and provider quoted along with servicing and claims management. No two insurance needs are the same. 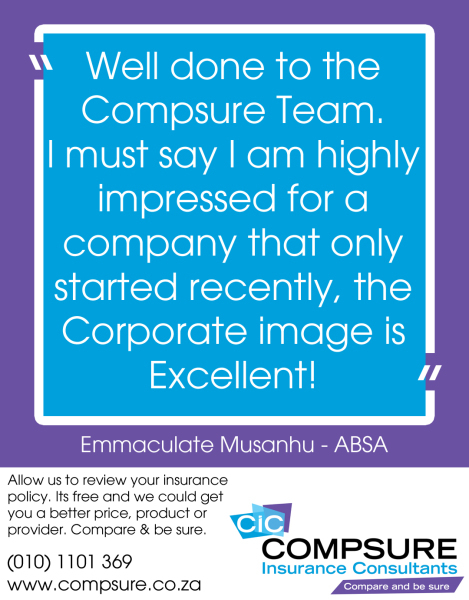 At CompSure we assess your insurance needs and offer best advice based on price, product and provider. Allow us to find the cover that meets your individual insurance needs. Insurance policy increases are an unavoidable reality. Allow CompSure to negotiate these increases on your behalf. We will requote you on your current insurance each year to ensure we keep comparing your cover with the market. At CompSure you are part of the family. 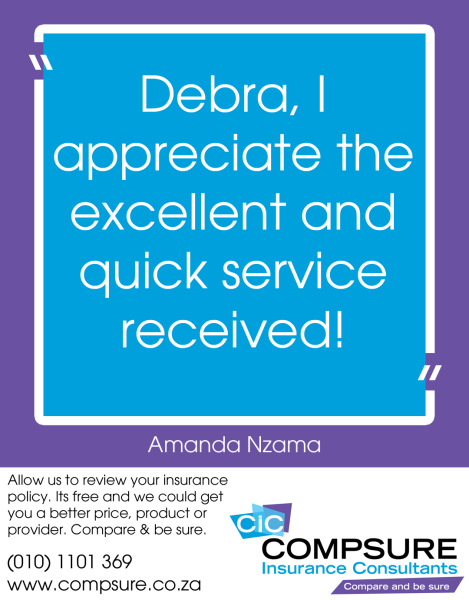 We believe in delivering world class service affording you peace of mind when it comes to your insurance. Our friendly staff will personally assist you with your sales, servicing or claims needs. The main reason for having insurance is to protect yourself should something happen. Claiming is part of the game. 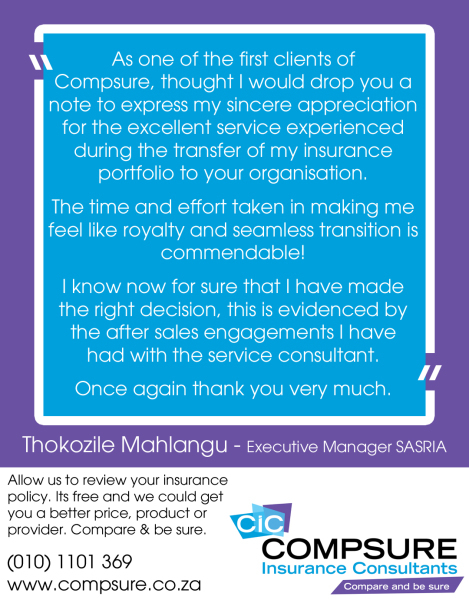 At Compsure we assist you through the entire process. We will advise you on the processes, required information and follow up on your behalf.